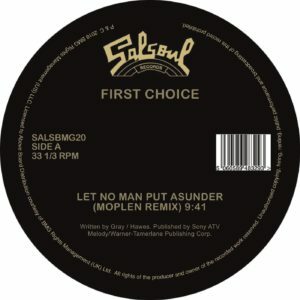 Contemporary Disco remix guru Moplen steps up to the Salsoul archive and turns in 2 absolutely stellar reworks of some solid evergreens. Always remixing and reworking with the utmost respect and understanding Moplen takes these classics into a new direction, working from the stems and retaining the funk, soul and grooves of the OG's. The disco mix market is a busy one these days with lots of people taking a shot at the classics in their bedrooms, but not these, these are legit, heavyweight mixes created by someone who knows! Candido's 'Jingo' sounds completely fresh, beginning with a totally unheard first few bars, rearranged piano motifs and dubby sounds bristle up against the percussion, all with an even heavier focus on the Cuban, Latin roots of Candido Camero's sound, amazing! You've heard this one before, but not like this. 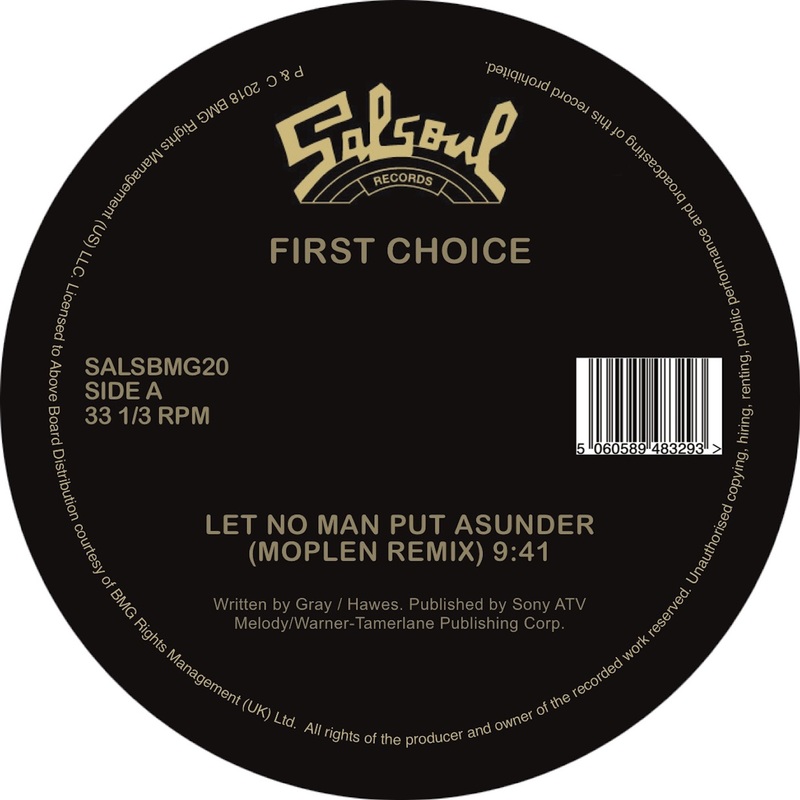 On the flip is First Choice's all-out anthem 'Let No Man Put Asunder' - again a truly original reimagining of a stone-cold classic, using the percussions and infamous vocal vamps to devastating effect, absolutely essential versions here. Moplen has truly done the business. This limited reissue has been made in conjunction with Above Board distribution and Salsoul Records, 100% sanctioned and lovingly re-presented for your dancing pleasure. This one is HOT. Sleep at your peril!